So, you are ready to make the leap that you’ve been daydreaming about for years. After working a day job in an office, bar, coffee shop or just totally unrelated field, you are ready to make your passion your full-time gig. For years you have spent your evenings and weekends painting, sculpting and dreaming away long into the night. You know that you have the vision. You have the drive. You know that there will be long hours and it will be a struggle at first. You know this is all part of the process. You’ve read business books, saved up some money to finance your studio, and you have a plan. But, you haven’t ever done this before and don’t know exactly what to expect. After all, it is a leap of faith. 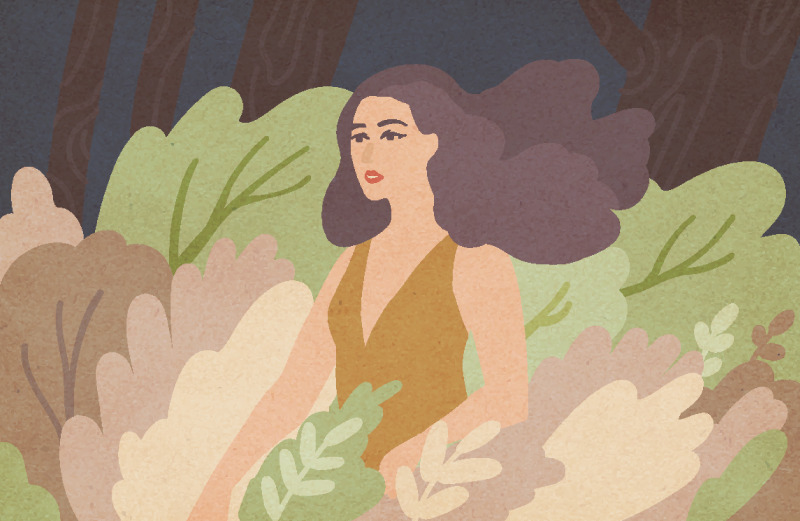 Here are 10 lessons that you can expect to learn in your first year of becoming a full-time artist. Your work/life balance will be out of whack for a long while. You will work long hours. Sometimes because you are so excited and inspired that you lose track of time and realize at nearly midnight that you have been in the studio for almost 18 hours. Other times it will be because you were overly optimistic about a deadline and promised one of your first big collectors a piece that you are now scrambling to complete. There will be no one to tell you to take a break. No supervisor to congratulate you on a job well done. No punch card or vacation time. You will feel guilty when you aren’t working, so you will work all the time. Because you changed your whole life to pursue this dream, because so many people have supported you, because you have something to prove and somewhere to go, you will work all the time. All. the. Time. This means being clear with yourself and your loved ones about the end goal and knowing that this is a phase during the “startup” season. It also means being intentional about setting aside some time each day for your partner, family members or friends. Whether that be for a meal, a coffee date, or a walk in the park, make sure to plan in your social activities as if they are part of your business plan—they are part of your long-term “happiness success plan” and you need to make sure not to let them go by the wayside and sacrifice your relationships for your new career. Your mindset will shift from “art practice” to “art business”. Before you decided to go full-time, you practiced your craft in your spare time to experiment, express yourself, and grow. And, don’t get us wrong, you should always approach your artwork in this manner. However, when you decide to turn your art into a career, you will begin to see your artwork as an asset in a business. It is the way to bring in money, support yourself and support your future dreams. 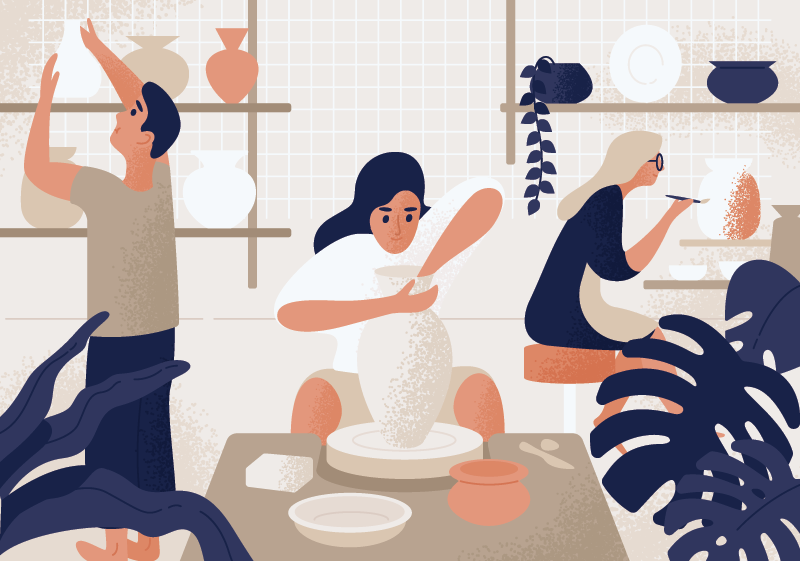 Artists often don’t want to talk about money, but it’s essential to be able to keep doing what you love to do and it’s a critical component of your art practice. In order to stay on track and stay focused on your artwork, you need to have systems and tools in place to help you manage the business side of your new art career. Tools like Artwork Archive help you manage the administrative side of your art business by streamlining the cataloging, invoicing, and tracking where artworks are coming and going. Plus they offer insights to your sales by location and genre, which can be super helpful when you are just starting out. You will see the benefit of surrounding yourself with advisors, mentors & peers. It’s a well-known fact in the business world to surround yourself with people that know more than you, so they can guide you in the right direction. By selecting trusted advisors, you get insights into areas that you might not be an expert in quite yet. Plus, the truth is, artists need to be an expert in a lot of areas. No one can be an expert in marketing, painting, sales, accounting, legal, shipping and business. It’s just too much for one person. That’s why you need to find the right people to put on your team. Beyond that, it’s equally as important to align yourself with artists who are at the same stage as you. 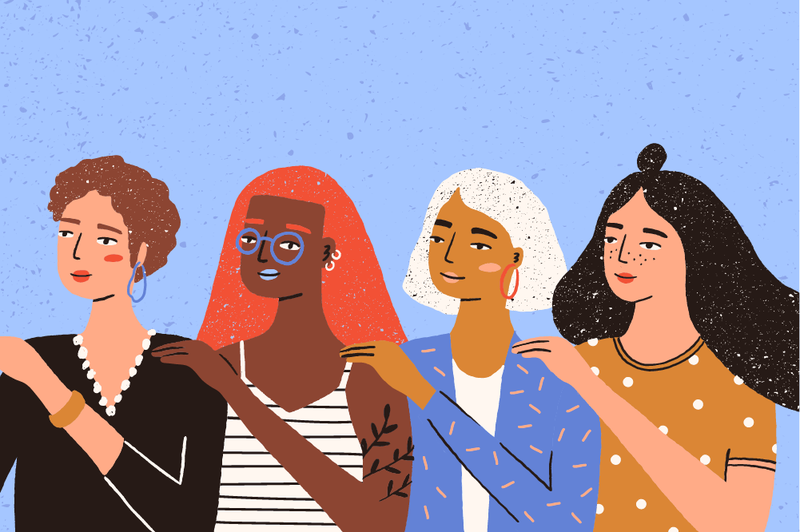 Finding a gang of like-minded artists who are on a similar career path will help you work through ideas, empathize with your setbacks, share in your celebration of success, and find humor in the day to day shared experiences of being an artist. The thing that most people don’t tell you about being an artist is that it can be extremely lonely. Having a group or just one or two close friends to go through the process with will make all of your stronger, happier, and more content with your journey. You will (perhaps begrudgingly) learn to gracefully accept and welcome feedback. There is no way around it, your work is going to be critiqued. When you make the choice to make a living from your work, you’re going to have to put it out there for the world to see—and judge. And, that means you’ll inevitably run into feedback, and sometimes harsh feedback, of your work. And we’re not going to lie, it often hurts. You put your emotions, real personal experiences, closest ideas—your whole self—into your work. And that’s why criticism can cut deep. The fastest way around this is to take in criticism and actually listen to the core of it to fuel your growth. The more you listen, the more you tweak, improve, become more efficient, more profitable. You can ultimately build a better business by truly listening and absorbing your feedback and applying it to your business. If you run your art business in a vacuum and only listen to positive reviews, your business will always remain stagnant. The more you can embrace a “what could I be doing better” mindset, the faster your business will grow and the happier your customers will be. Don’t be afraid to even reach out to collectors or clients you recently worked with and ask them about their experience. Where can you improve, what worked, what didn’t, what were the areas that caused friction or anxiety with the client? How can you work on that in the next order? Criticism is hard to swallow for just about everyone, but those who actually listen to it are better business owners for it. At the core of perfectionism is fear. Fear of failure. Fear of rejection. Fear of not measuring up to expectations. This fear can be crippling, especially in a creative field that requires us to constantly be producing and putting our whole selves on the line. That vulnerability has the ability to stop a perfectionist in their tracks, making it nearly impossible to make anything at all. Practice accepting where you are currently with your work. It can be difficult when you first start out (or really at any stage) to accept the gap between where you are and where you want to be. You have a vision for your work, but your skills just aren’t taking you there … yet. Focus on making more work, more sketches, more models, instead of endlessly picking apart one project. Realize that you don’t have to create a masterpiece every time you enter the studio. If you go in and fingerpaint and it feels good, you learn something, you stretch yourself, and enjoy the process, that is a success. You don’t have to say something huge with every artwork that you make. Take the pressure off and you will enjoy yourself along the way. Getting organized from the start saves you a ton of stress. There is nothing worse than spending your time looking for files, contact information, images or details about an artwork when you should be in the studio. You already have so much to do and hunting down or mentally keeping track of what gallery which artwork is at and when it needs to come back is not where you need to be spending your energy. The reality is, staying organized is a daily struggle for a lot of artists. However, having an organized art business from the start can save you a ton of stress and put you in a better place to scale your art business more quickly. Being organized is what helps you get paid on time, gets you bigger opportunities and lets you present yourself with ease and professionalism. You should be spending less time searching for files, formatting PDFs and combing through endless spreadsheets. That’s why products that were made specifically for artists like Artwork Archive are critical for organizing, sharing and running your art business. Five minutes could save you hours of frustration and stress. It's not like what you see on Instagram. Not all days are sun-lit studios and gallery openings. As anyone who has spent more than five minutes scrolling through social media has noticed, there are a lot of idyllic posts from artists and entrepreneurs out there that can be both inspiring and, at the same time, discouraging. An endless feed of successful artists traveling the world, making a what you perceive to be a great living can be fuel and also make you believe that they too don’t do the hard work behind those pretty pictures. Don't compare your journey to what you see on social media. Comparison is the thief of joy and vision. You will (and should) say yes to all opportunities … at first. In your first year, the more opportunities you say “yes” to, the more opportunities will come your way. You will meet new connections at gallery openings, hear about new funding or shows to apply to at an open critique, find collaboration and business buddies at a local creatives night. Putting yourself out there not only creates more opportunities, but it also gives you a community that will be critical for your success. Instead of approaching galleries cold, apply to as many juried shows as you can. If your artwork is accepted and sells in a juried show, it’s not uncommon for a gallery to ask for more work. It’s almost like a trial period where a gallery can see how your work is received by the public and what you are like to work as an artist. When they do ask, be prepared to present them with professional tear sheets or consignment sheets with the work that you deliver. You will not only make a great first impression, but they will also be more likely to want to keep working with you in the future. Of course, you can’t keep saying yes forever or you will burn out. Over the first year as a full-time artist you will learn what opportunities are worth saying “yes” to and which are better to say “no, thanks”. Keeping track of your shows and sales will help you get insights into what opportunities to invest in the following years. You need to have your work at competitive market prices and charge at your skill level, but working endless hours for an unfair wage will only lead to massive stress. In your first year, you will be tempted to make a sale no matter what. You will lower your prices, give discounts and agree to unadvisable terms. What you will learn is that you are in charge of the wages that you make. You can set your prices and people will still agree to them, but you have to learn to treat yourself with the respect you would treat a hardworking employee. You will also learn that some people might not agree to these terms or prices and that’s their choice. There will be clients that will. However, consider the value and demand for your work as well. If you quickly and continually sell out of your $250 dollar works, it’s time to increase prices. You will regret not documenting and cataloging your artwork in the future. In your excitement to make a sale, you might be tempted to skip documenting and cataloging your artwork. However, you will find that this is of the most essential parts of the process as the photographs will act as your portfolio for future sales. Inventorying your artwork ensures your legacy as an artist and helps establish your credibility. 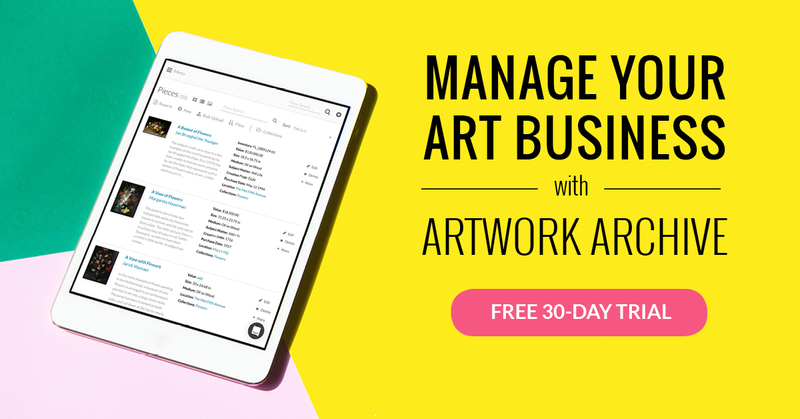 It also helps to organize, strengthen, and streamline your art business. Creating an inventory of your work doesn’t have to be the daunting task that we make it out to be—especially with so many easy-to-use and intuitive art inventory programs out there. That is why online art inventory management systems like Artwork Archive exist ... to keep track of the massive amount of details on your hands. See how you can get organized in just a few minutes each week with Artwork Archive. Try it free for 30 days and get your art career off to the right start. Know inventorying your artwork is important, but don’t know where to start? We’ve broken it down into ten simple steps, so you can free up more time to do what you love!